Romelu Lukaku starred for Belgium with two goals and an assist as the Red Devils ran out 4-1 winners in their final pre-World Cup friendly against Costa Rica on Monday night. The main worrying moment of the night for England’s Group G opponents came when Eden Hazard limped off after picking up a knock with 20 minutes left to play. 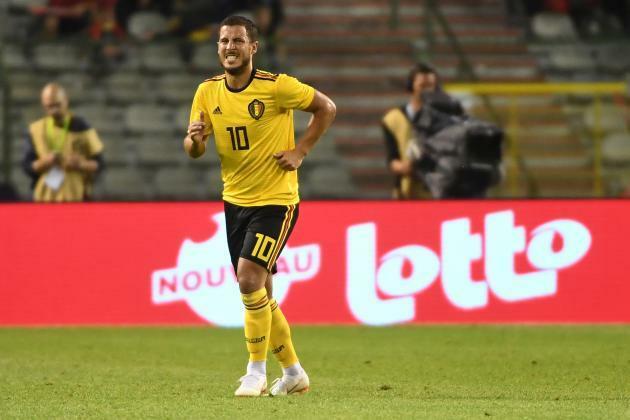 Hazard struggled after a rash challenge clipped his boot, however it only appeared a minor issue as he managed to make it off the pitch unaided. Costa Rica took the lead through captain Bryan Ruiz after 24 minutes, but were behind by half time as Dries Mertens and Romelu Lukaku responded. In the second half, Lukaku furthered Belgium’s lead before unselfishly supplying Michy Batshuayi despite being on a hat-trick. The 4-1 win leaves Roberto Martinez’s side in good stead ahead of their upcoming World Cup campaign, which begins against Panama on June 18.